A toothache is an aching pain in or near a tooth that is caused by decay. Tooth decay is caused by sticky plaque that clings to and eats through the enamel of your teeth, causing pain and sometimes creating a cavity. According to Suresh Babu, author of "A Treatise on Home Remedies," you can relieve a toothache by applying garlic to the troubled tooth. 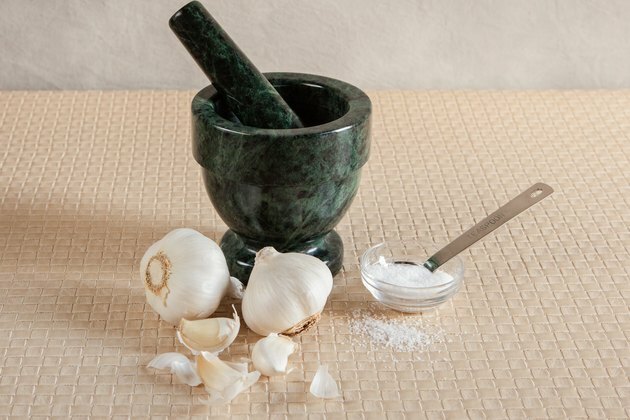 Garlic has long been used for its medicinal properties, which include allicin, a chemical that might relieve pain and act as an anti-inflammatory. Talk to your doctor before taking any alternative treatment. 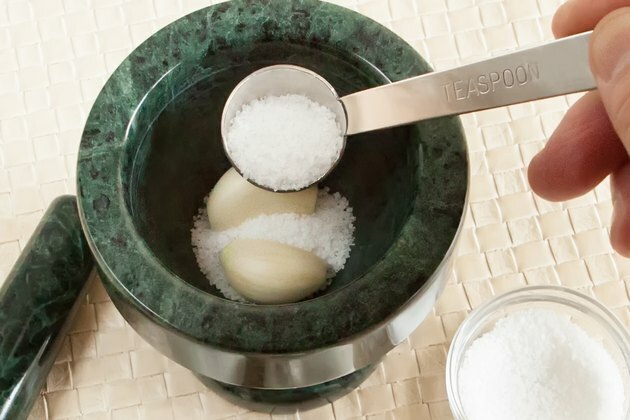 Prepare a paste by peeling two fresh garlic cloves. Toss the cloves and 1 tsp. of salt into a mortar or other bowl. 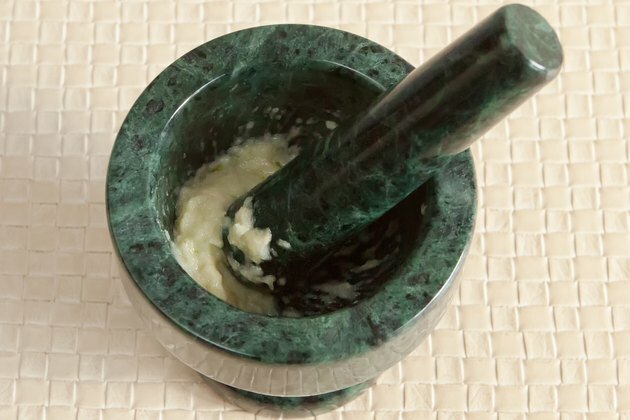 Use your pestle or other utensil to create a paste of the two ingredients. If the paste is too dry, add a few drops of olive oil to the mixture. Apply the paste to the affected tooth and hold in the mouth for at least 30 minutes. The pain should subside with continued use, up to four times a day. Seek a dentist immediately for any tooth pain. Does Clove Oil Deaden the Nerve Endings?